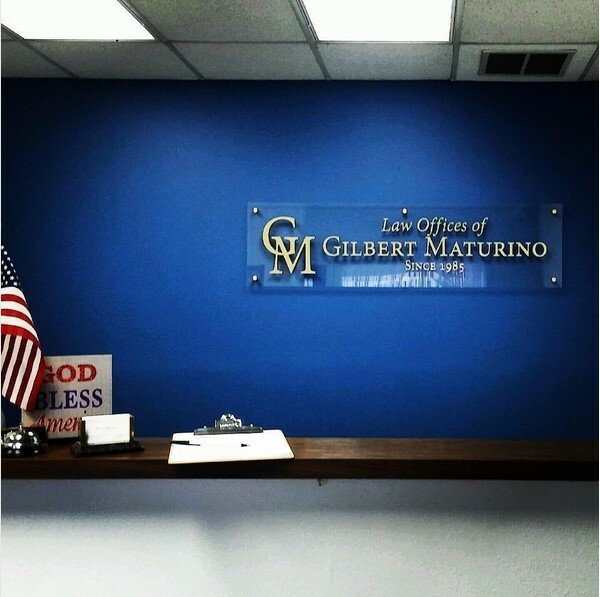 Every business in the Riverside CA area is looking for great ways to get their message out. 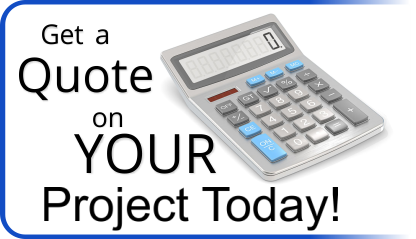 The trick is to choose a way that has a big impact, without a big impact on the budget! Vinyl vehicle wraps by Precision Sign and Graphics can do both! So is a vehicle vinyl wrap right for your business? Let’s explore some reasons to get a vehicle vinyl wrap. Vinyl vehicle wraps have become popular today for both businesses and personal use. Business advertising, show cars and race cars can use a quality vinyl vehicle wrap from Precision Sign and Graphics as an affordable solution over a complicated paint scheme. 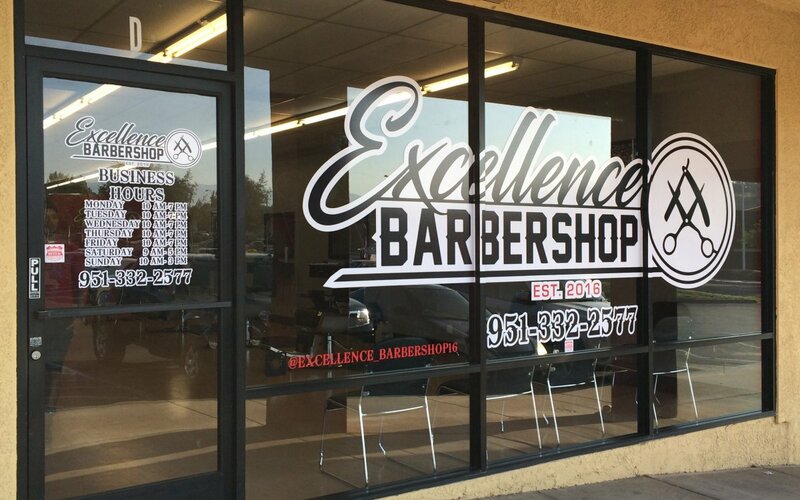 Partial wraps can also be used to work with the current color of the vehicle, or accent it such as window graphics and racing stripes. For many, a partial wrap can be a very affordable option. Color Change and Racing Stripes! Recently the use of dark, subtle matte finish vinyl coatings, to give your ride that aggressive look; have become popular. This full vinyl vehicle wrap option serves to protect the original paint while giving your car a sharp look. You might also look into a full vehicle wrap to change the color of your car. Recently seen on shows such as: Unique Rides & West Coast Customs; these high end custom vehicle superstars have used high quality vinyl wraps to change the color of vehicles without the extra costs of a high end paint job. Celebrities such as Ice-T and Eric Estrada have had their vehicle color changed recently using this technique. They even wrap wheels to change the color! When you Sell your vehicle… We can simply peel off the vinyl! Businesses might use the skill of our graphic designers to craft a branded look with sharp colors and hi-resolution images to help get your brand noticed. 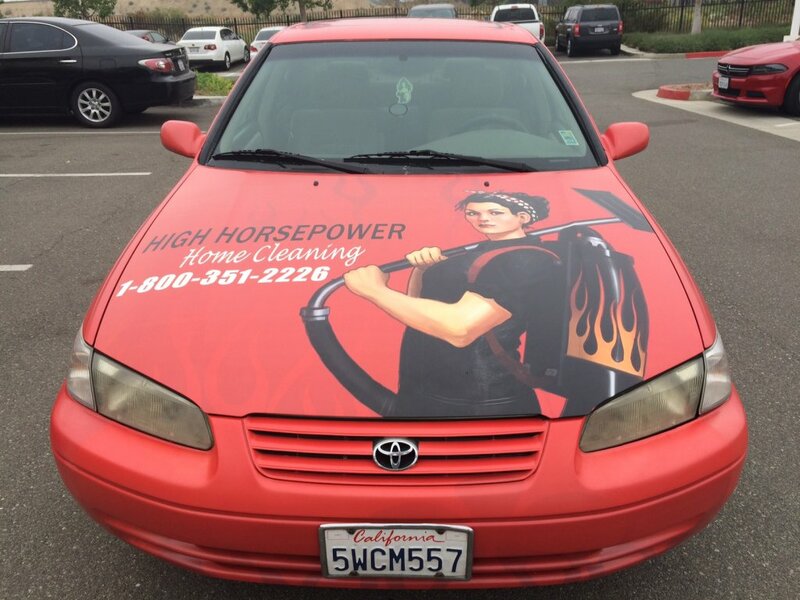 A vinyl vehicle wrap is a great option to help get your Riverside, CA area business noticed. Our staff designers are well known for their attention grabbing graphics and use of branded colors to create a custom look that will turns and heads! 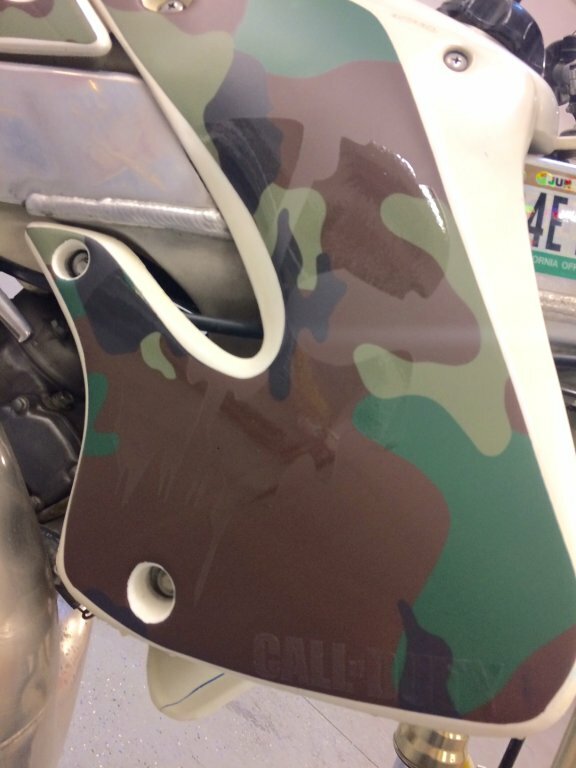 No matter the color or the style, Precision Sign and Graphics has you covered… literally. Protective, Durable and Long Lasting! 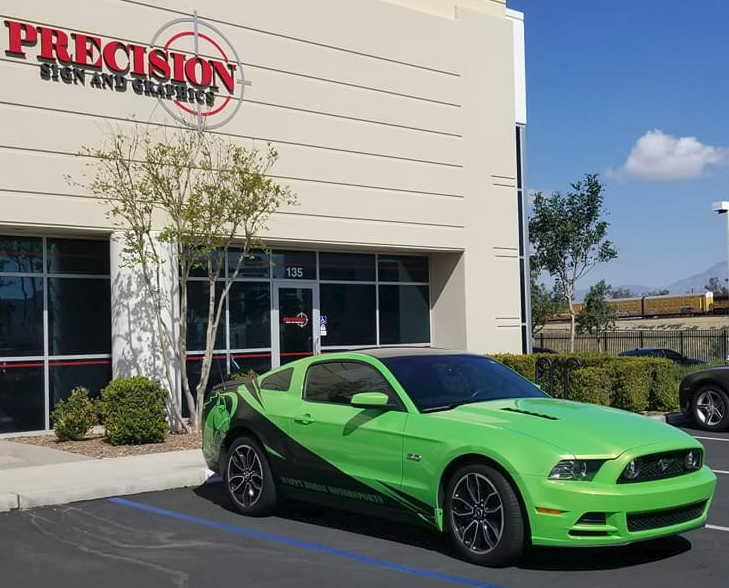 The premium vinyl vehicle wraps that we use at Precision Sign and Graphics can last up to nine years, depending on use, even in the changing climate that Riverside, CA is known for. For older cars, covering those blemishes with vinyl wrap rather than expensive bodywork to prep a surface for paint might be the perfect solution to save money. While vinyl can show imperfections, paint color distortions can easily be covered. When you get ready to sell your car, just have it peeled off! With a short inspection by one of installation specialists will help you determine is a wrap is the right choice for your needs. 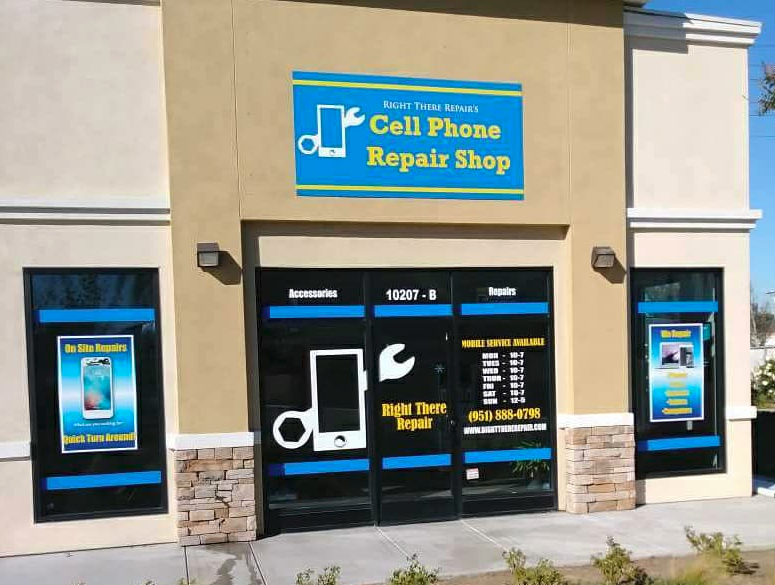 The biggest bang for your buck comes when you can get your business and slogans branded within the Riverside, CA community. Fixed billboards and banners have the disadvantage of needing someone to drive past it to see it; but with a vinyl vehicle wrap from Precision Sign and Graphics, you can take your branded message to where the people are! Put your new sweet ride in a parade, cruise down the parkway… Even parked in your driveway; people will be able to see your message… only with style! Vehicle graphics come in all shapes, sizes and types, just like vehicles! 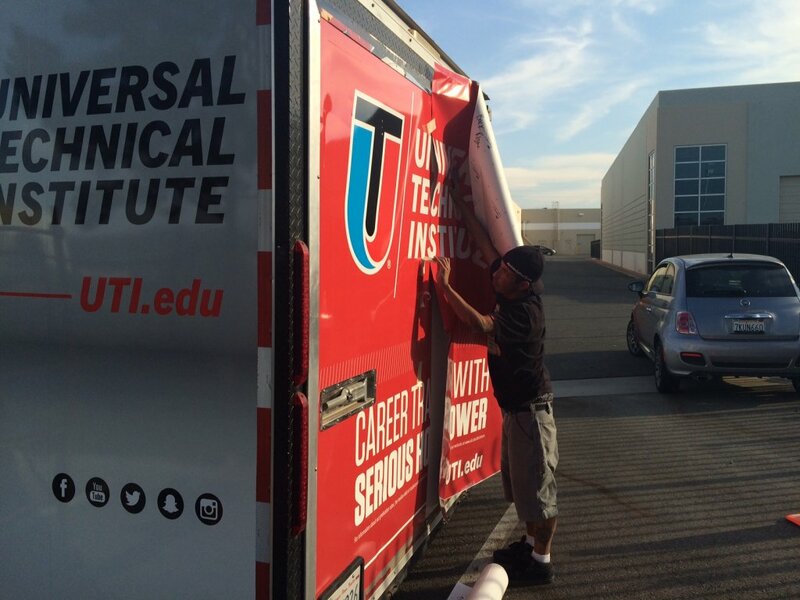 Whether you are looking to place vehicle graphics on your trailer, car, van or your entire vehicle fleet; vehicle vinyl graphics are a fantastic choice for any business in Riverside, CA. 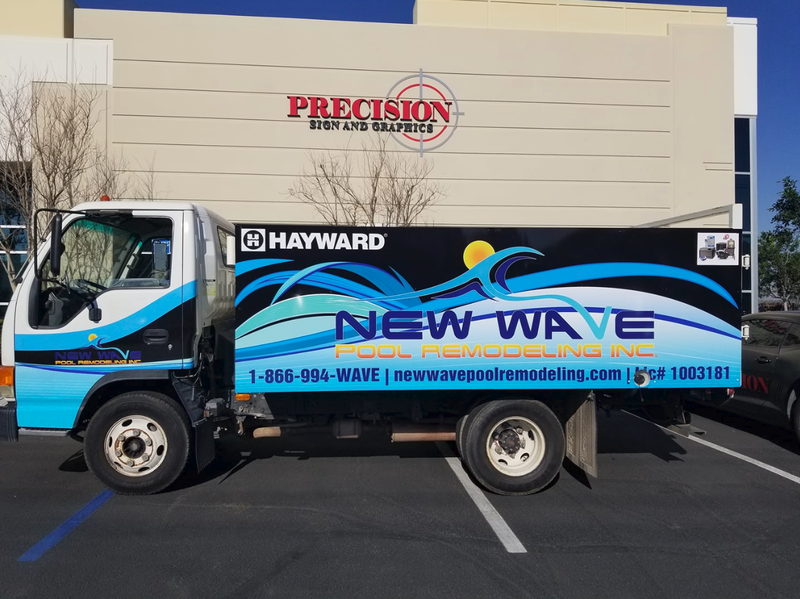 When you combine creativity with versatility you have the two main components that help make vehicle graphics an affordable option, now it’s just a matter of deciding which level of vehicle graphics will work best for your Riverside area business. Depending on your budget and the look that you’re going for, any level of vehicle vinyl graphics designed and installed by Precision Sign and Graphics is sure to help you stand out among the competition. 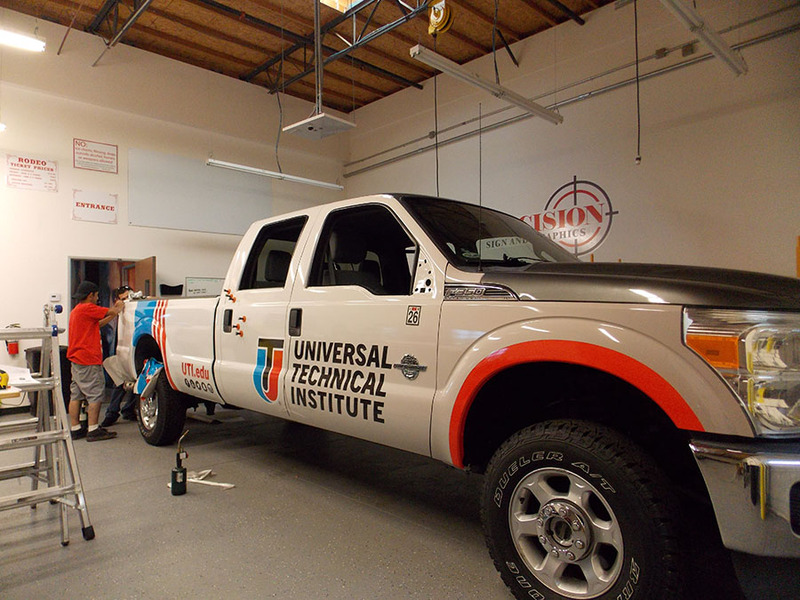 Professional vehicle graphics, provided by Precision Sign and Graphics in Riverside, CA. can be customized to fit both the budget and the look you might be going for. We offer full vehicle wraps, partial vehicle wraps and vehicle lettering that, when combined with a particular color of vehicle, can be very noticeable. Naturally a full vehicle wrap gives us the ability to work with practically any paint color (because we are covering it) not to mention a full canvas to create eye-catching graphics and colors that can help promote the brand and look of your company. When combined with a fleet wrap you can further increase the visibility of your company within the Riverside, CA area. Partial vehicle wraps will utilize the color of the vehicle to blend the brand color schemed graphics. Because partial wraps are not covering the entire vehicle, this option less expensive than a full wrap. Most vinyl quotes in this industry are done by square footage. 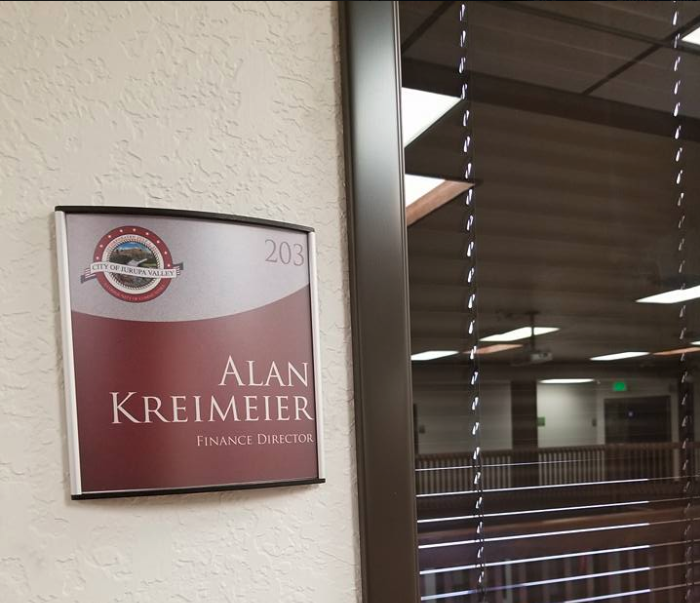 When visiting with the experts at Precision Sign and Graphics serving Riverside, CA., they will take measurements for what you need done, calculate that into a cost per square foot and price it out accordingly. Providing the service this way allows for pricing only what you need… rather than what you don’t. A full vehicle wrap is simply a full canvas that allows you to utilize any color of vehicle, covering it with vinyl printed material that is been specifically designed and colored to match the brand and presence that you’re looking for. Full vehicle wraps have many advantages such as protection of the paint, more coverage for graphic design, resistance of paint fading and that overall wow factor with an exciting graphic design from Precision Sign and Graphics. Partial vehicle wraps are the middle ground between single colored lettering and a full vehicle wrap. Measured by coverage, this method allows you to have a larger impact; even combining a large full color graphic with single color lettering to really give a great impact that saves on the budget. This is a great option for those companies that have a more complicated logo requiring a full color print; but doesn’t want to incorporate that into a full vehicle wrap. By using a large logo and adding phone numbers, website an additional contact information in single color lettering; it can help give you a look for your company, corporate or fleet vehicle that’ll stand out… while saving on the budget. 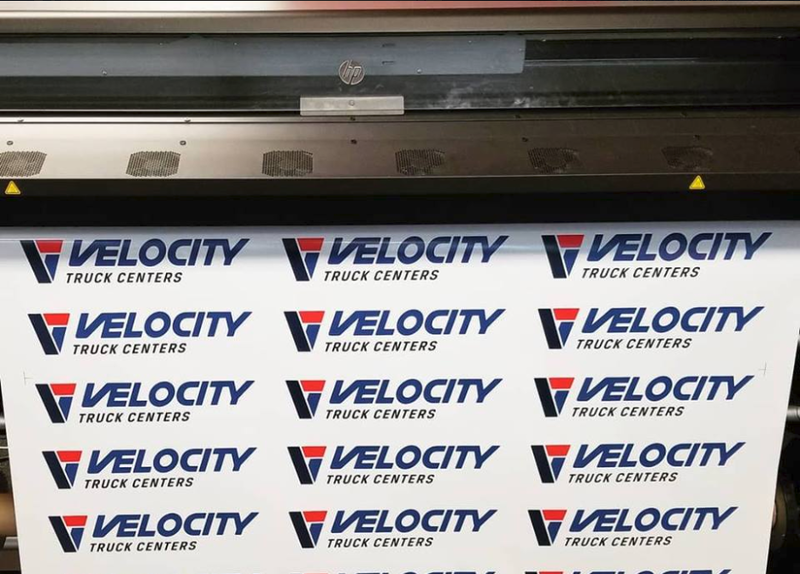 We have the equipment and talent to provide our customers with print jobs with just a few letters, letters and logo or more elaborate single decal placements. Done correctly, single color lettering and shapes can still make your vehicle stand out; while still being easy on the budget. Vehicle wraps in Riverside, CA. are quickly becoming an industry standard for both advertising and dressing up your vehicle. From RAV4’s to race cars vinyl vehicle wraps provide the versatility of attention grabbing graphics without the price tag of a custom paint job, plus the benefit of being able to peel it off when you’re ready to sell the car. A vehicle wrap is like a warm hug on a cool day that whispers in your ear how awesome you are. Seriously though, a vehicle wrap can either partially or totally cover the paint of your vehicle for the promotion of your business, provide an aggressive graphics package for a custom vehicle look or even just change the color of the vehicle. Vehicle wraps done by Precision Sign and Graphics in Riverside, CA. will last approximately five years. The type of material used, use and care play heavily into this estimated figure. For example: if you have an off-road vehicle that’s been wrapped, chances are it’s not going to last for five years because of dirt and debris constantly impacting the vehicle wrap. 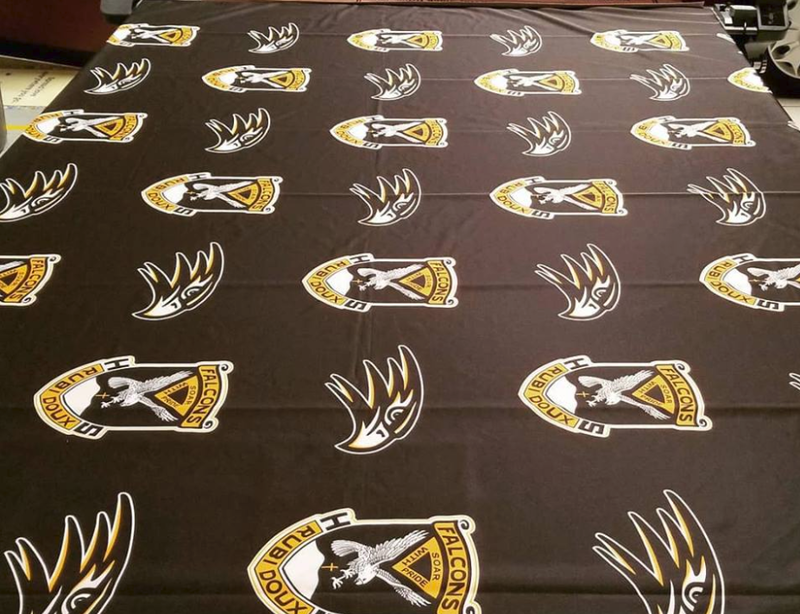 Normal use with the UV coded materials, that we prefer to use for our vehicle wraps, will naturally last longer than untreated vehicle wraps. If I sell my car can I remove the vehicle wrap? Absolutely. Although we do recommend to have it professionally removed; a vehicle wrap essentially is a heated sticker that molds to the shape of the body of the car… but it sticks good! 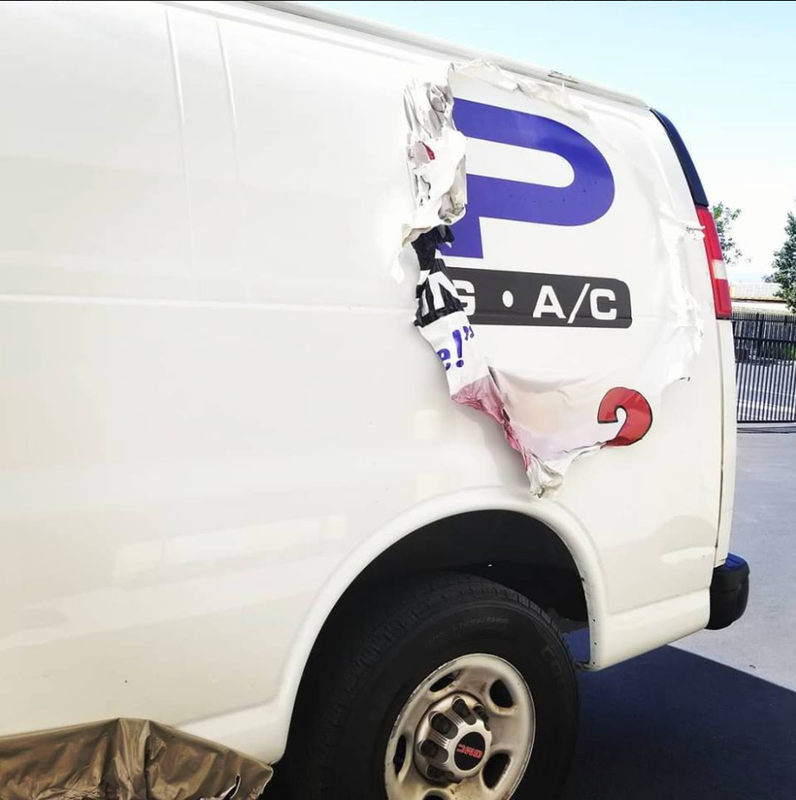 So if you try to remove the vinyl vehicle wrap from your car, chances are without the proper removal tools and chemicals, it will be a time-consuming and messy task. Can you wrap a car that is just painted primer? This is a great question. Unfortunately primer is a porous in nature and the vinyl wrap does not adhere well to it. Untreated or unpainted body components such as ground effects, bumpers and other plastic parts also do not work well with vinyl vehicle wraps. While it will stick for a little while and look great, it won’t be very long before the vinyl wrap fails and begins to come off. How long does it take to install my vehicle wrap? Partial vehicle wraps can be completed in 2 to 3 days depending on the complexity; full vehicle wraps can take up to two weeks, again depending on the complexity. Add to that design time to create the vehicle wrap custom to your vehicle year, make and model. That being said: Precision Sign and Graphics in Riverside, CA. has done quite a few vehicle wraps and can generally tell you how long it will take during the initial consultation. What happens if I get into a wreck? Hopefully you are okay and it was just a little fender bender… But once you get your car out of the body shop and the body panels have been replaced and properly painted, we can replace the areas of the vehicle wrap that were damage by replicating and installing with no problem. We keep on file the graphics that we provided for your vehicle wrap so we can duplicate and install just the pieces that are needed. For larger paneled areas such as the side of a moving van, the entire area will have to be redone so that it blends and matches properly. As a vehicle vinyl wrap is aged by the sun the colors can take on a different shade; we will let you know prior to beginning about color differences so that you can decide how you would like to proceed. Do the images on my vehicle wrap need to be licensed? 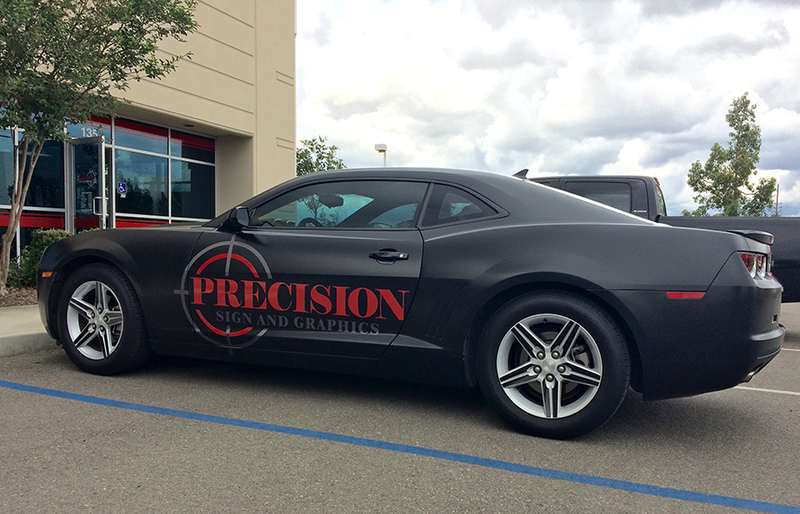 Vehicle wraps done by Precision Sign and Graphics in Riverside, CA. will always be too legit to quit.. (sorry 80’s flashback).. Simply meaning that we purchase the appropriate licenses for all the graphics that we utilize in the creation of your vehicle vinyl wrap. (factored in the price) We reserve the right to deny service to those that wish us to utilize unlicensed or illegally obtained downloads of copyrighted material. How do I keep my vehicle wrap clean? General washing using the same automotive soap that you would to wash the rest of your car is perfectly fine for general care of your vehicle wrap. 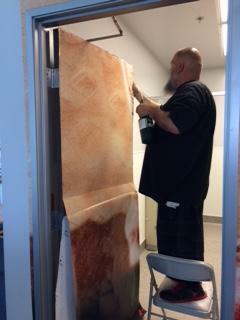 For most of the laminated wrap materials that we utilize here at Precision Sign and Graphics in Riverside, CA. you can even apply and wax and spray wax to help protect the vehicle wrap and keep it looking good. Certain types of vehicle wrap materials, such as carbon fiber print, are porous and therefore the use of waxes can dull the appearance. Be sure to check with us on proper care techniques based upon the materials used. Will a vehicle wrap protect my paint? Yes. UV coated vinyl wrap can help protect your paint from sun damage and small rocks that might ship your paint. However, vinyl wrap is not armor; so getting hit with a rock or by another car, vinyl wrap is not going to protect you in circumstances such as this. Are there any legal restrictions for my vehicle wrap? 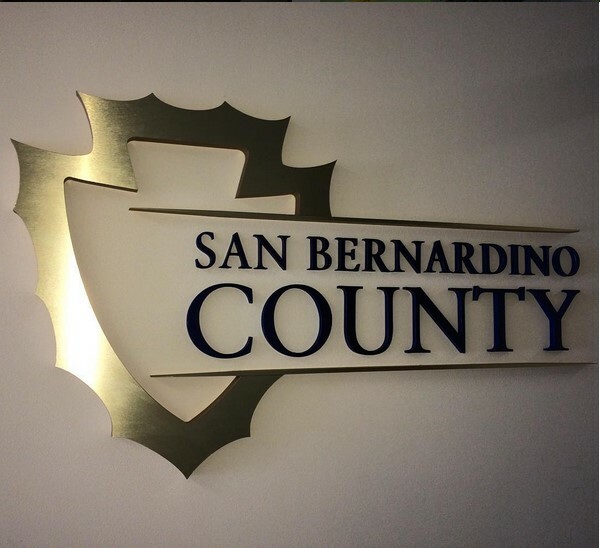 Other than copyright restrictions there are no current local restrictions that we have been made aware of in the Riverside, CA. area. While the government loves making new rules, we do have certain recommendations about the use of shiny chrome films and other designs that may create a hazard to those on the road. We have heard hints of regulations limiting the percentage of coverage that is allowed for certain types of vehicles and restrictions on content (ergo: family-friendly), but none that have been made an official policy. Why are there so many price differences on vehicle wraps? While vinyl wrap is quickly becoming an industry-standard there are still many factors that come into play for the pricing of vinyl vehicle wraps. Labor and materials used are the two primary factors for accurate pricing of a vehicle vinyl wrap. One company may be cheaper than another; but, look closely at the price differences to find out why. If a price for a vinyl wrap seems too good to be true, it probably is. Many companies are known to underbid a vehicle vinyl wrap project because of the use of substandard materials or premade graphical elements that cut down on the creation process but provide you a cookie-cutter look. Correctly installing vinyl wrap is practically an art form. It takes a steady hand and a sense of craftsmanship to get the material to probably mold and fit, especially on vehicles that have greater curvature. For an investment that sure to last you for several years you should definitely take a few extra moments to determine the experience level and quality workmanship of the company that you’re going to use before making your final decision. 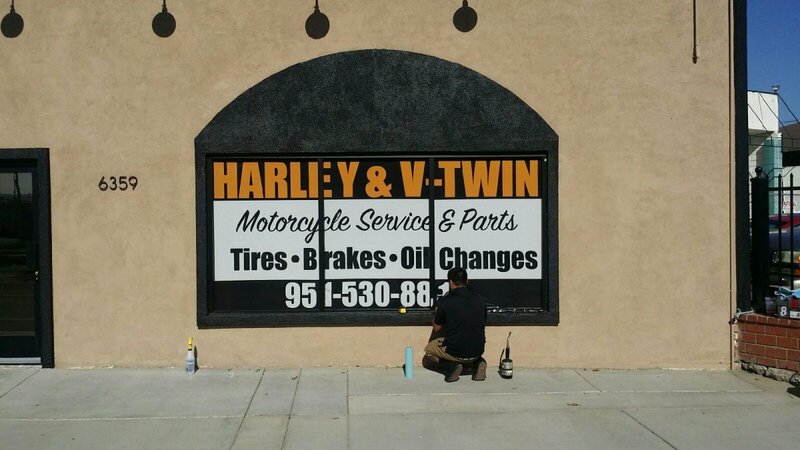 Precision Sign and Graphics in Riverside, CA. 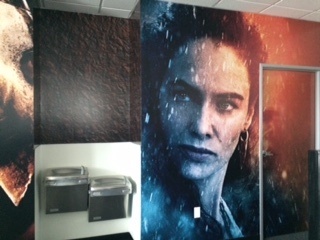 has been become well-known for its quality vehicle wraps and graphics. 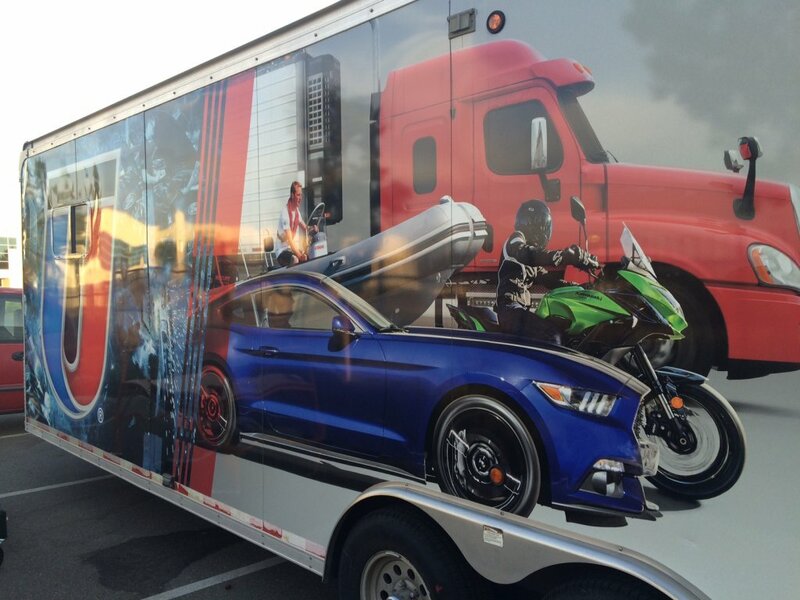 Just a look through our gallery will show a variety of vehicle wraps on all different types of cars, trucks, SUVs and commercial equipment including trailers. Our experience and diversity allows us to wrap vehicles with a high quality material at a reasonable price. Be sure to check with our sales representatives to get your vehicle wrap started today. You’ve seen them driving around Riverside, CA. ; slick, fast and stylish cars and trucks that have eye-catching racing graphics and you thought to yourself “I wonder what something like that may cost?” So you go online and Google racing stripes to find out that what’s available in the box stores are is straight, boring and not custom at all or it looks really cheesy… At Precision Sign and Graphics in Riverside, CA. we’ve learned to think outside the box to come up with stylish, eye-catching racing graphics that will not only set you apart but meet the individual taste of each vehicle. 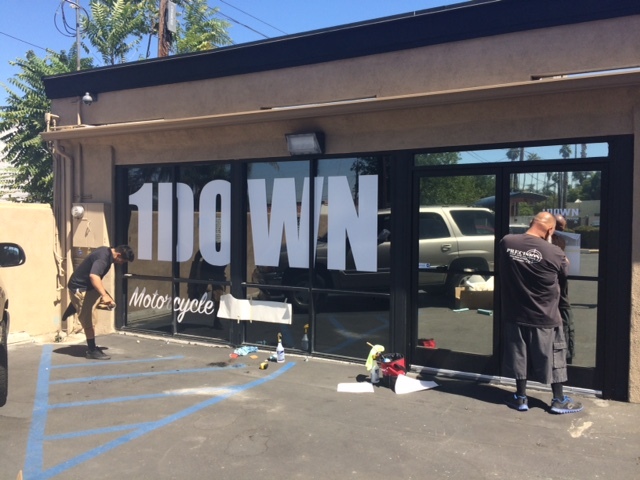 For many of our racing stripe and graphics projects in Riverside, CA. 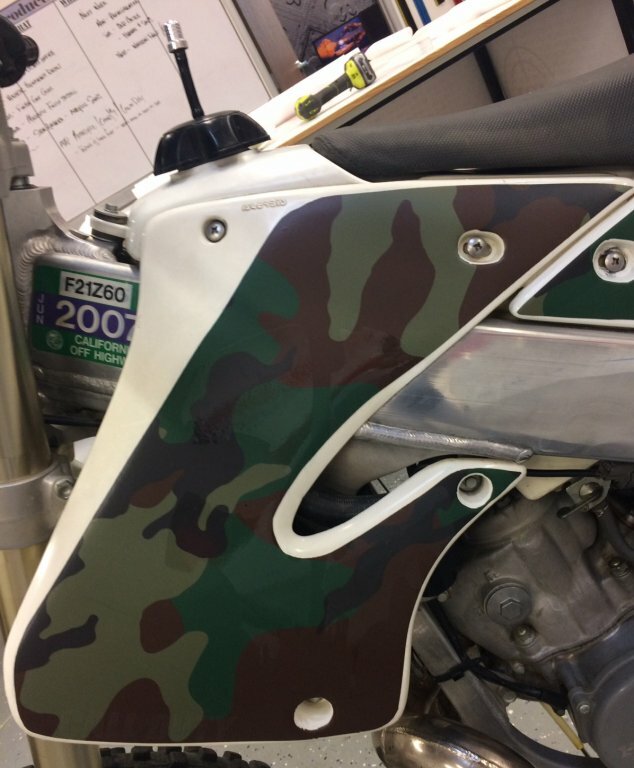 we find that we are able to print and install your custom racing stripes for the same price or lower than many of the online box store prices that you may find. This also means that will be able to use the right type of material that will best fit your application. Many box stores sell one type of final that may not be meant for vehicle applications; meaning that it can easily damage your paint, peel or fade easily. Our racing stripes and graphics utilize top-quality materials, many with aerated style of vinyl that allows us to apply without air bubbles. 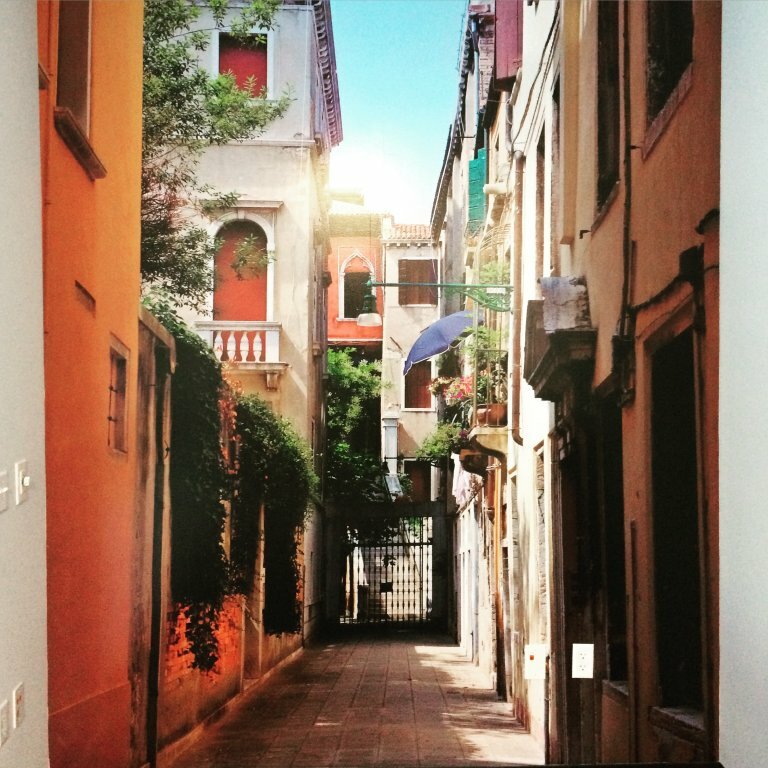 Based on the application we can also utilize matte or glossy finishes with UV coatings so that they will last for many years to come. Whether you’re looking for simple racing stripes for your 69 Camaro or full extreme racing graphics we can handle it all. Our installers utilize industry proven techniques and a gentle touch to make sure that your classic car is the talk of the town and your racing graphics clearly show who the winner is. 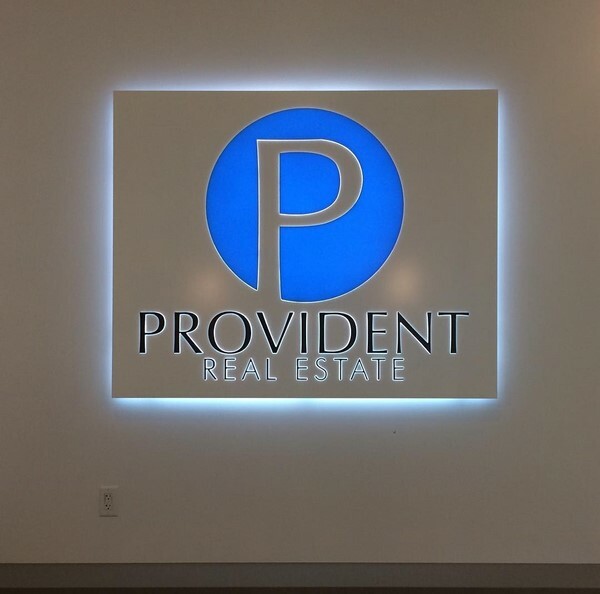 Precision Sign and Graphics serving Riverside, CA. doesn’t come in second when it comes to quality service, great prices, the best materials and skillful installations. 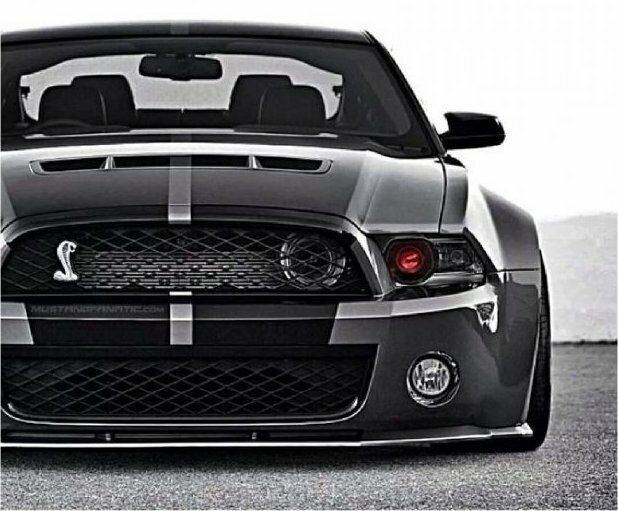 Make sure you don’t settle for stickers from a box store when you can have custom designed and installed racing stripes and graphics for your classic muscle car, sports car, race car or just your daily driver that you want to make it like the fast and furious.